Most people at some point in their lives suffer from back pain, ranging from minor (having little to no impact on daily function) or severe (with significant impacts on daily life). Often this is a result of acute trauma caused by engagement in normal daily tasks where our posture has put the spine at risk. 1 Why is posture important? 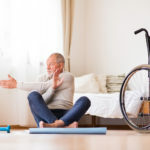 Without supporting good posture you risk long term spinal problems that will undoubtedly impact on your ability to freely engage in activity without pain or discomfort. 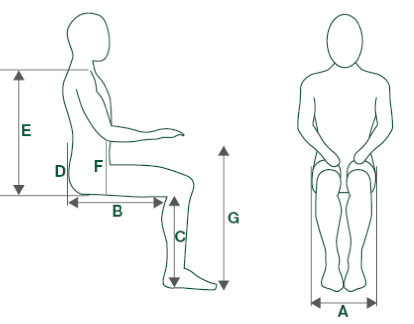 Width (A), depth (B), seat height (C) and back height (E) are likely to be the most critical in ensuring good sitting posture. Hip and knee joints should be as close to 90 degrees as possible. Consider that the chair may be too low if the angles are less than this. In sitting your weight is transferred to the chair through your ‘sitting bones’ (the 2 knobbly bones at the bottom of your pelvis). You should be sitting directly on top of these bones (see 3.) 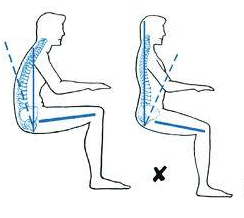 If you are sitting with weight in front or behind these bones consider whether the depth is appropriate. Hyperlordosis is commonly described as an increase in the normal lordotic lumbar curve leading to an increased anterior tilt and hip flexion. Restrict wearing of high heel shoes or if possible avoid completely. 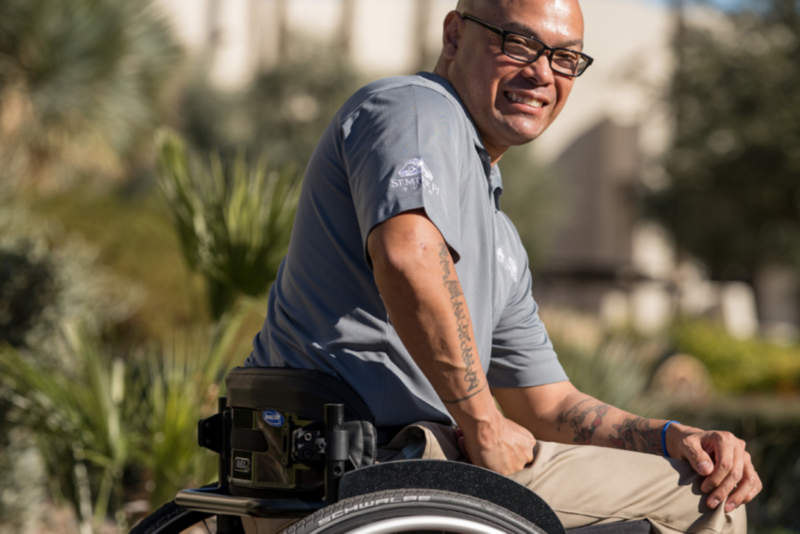 If using a wheelchair ensure that footplates are adjusted correctly. One of the critical elements to maintaining good posture is supporting pelvic stability. The pelvic position is the building block on which the rest of the body is supported therefore if its stable neutral position is not maintained everything relying on it is also compromised. Consider the image below and the neutral position of the pelvis. It is neither in full tilt, creating flexion or hyperextension. This encourages the natural spinal position with the 3 curves evident. Do not “pull your shoulders back” as you may have heard said many times by parents to their children. This is in most cases the wrong advice. Your shoulders effectively sit on top of the rib cage which is a cylinder. They are attached by connective tissues (muscle, ligaments, tendons) so do not have a resting surface like most joints. This means that they rely on positioned by internal and external (gravity) pressures. Consider a natural and relaxed shoulder position that is supported by correct spinal positioning. Regular and deep breathing encourages natural shoulder positioning due to the relationship between them and the rib cage. Not only should you review your bodies positioning to support good posture but also pay attention to what tasks are being completed from that position and how the environment impacts, whether positively or negatively, on it. Can adaptations be made to the environment or task to promote good posture? For example, reducing loads, altering workstation etc. 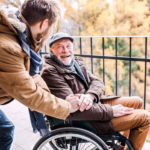 Following these 5 tips as well as increasing your knowledge about back care should be a good starting point to avoiding future spinal problems and associated pain.